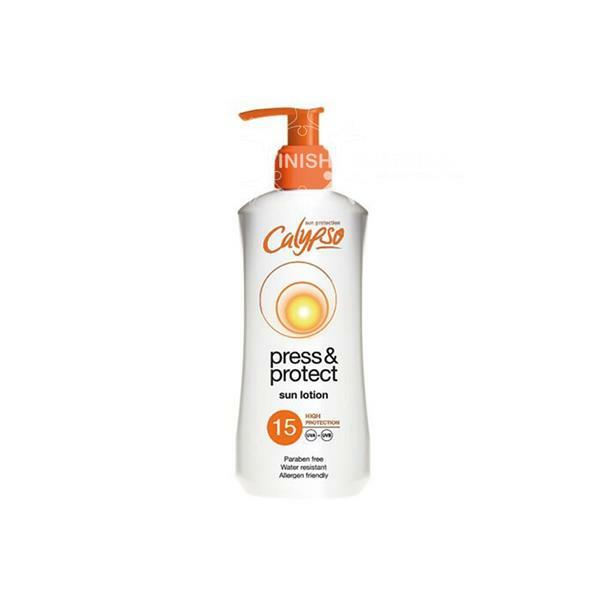 Calypso Press & Protect Sun Lotion SPF 15 is a water resistant and paraben free suncream. This SPF15 medium lotion contains moisturising ingredients that help replenish the natural skin oils lost by exposure to the sun, wind and water. Apply 30minutes before sun exposure.